Good Riddance! 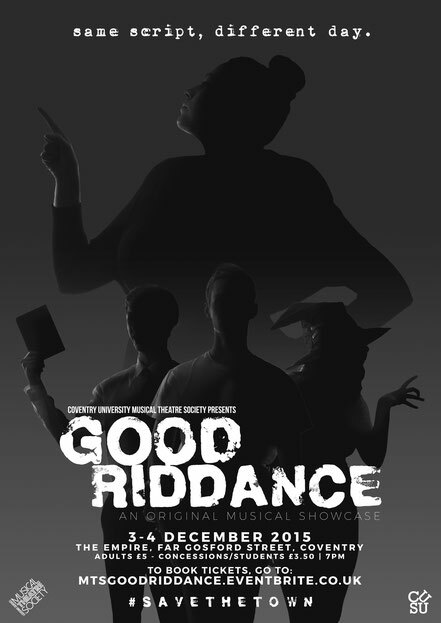 An Original Musical Showcase is Coventry University Musical Theatre Society's most successful showcase to date! A double sell-out run sent Anthony, Johanna, and co. into the MTS hall of fame! I not only choreographed the show, but I also designed and published all of the promotional/print material (below). Not only that, the above show recording was shot by myself and two others, armed with five cameras. Three manned, two unmanned. I also edited the hour-long show, making it the longest (edit length) project I have ever done! 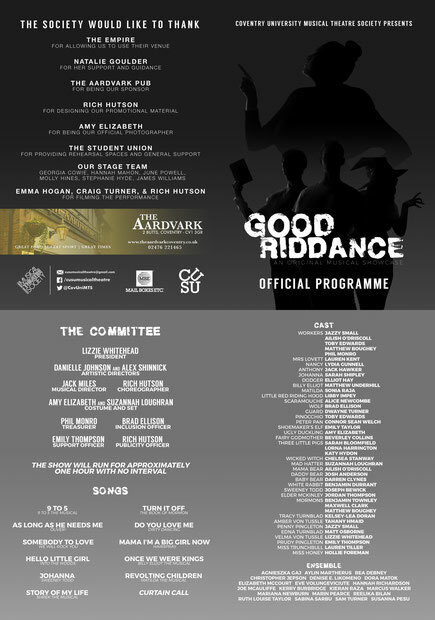 Finally, I produced a limited run of Good Riddance! 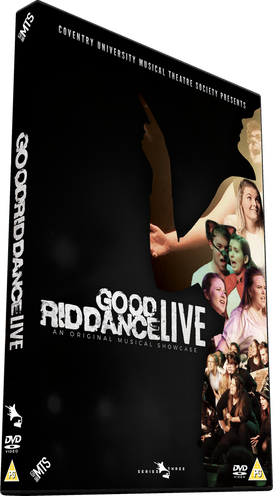 LIVE on DVD, with of course, the edit of the show, some rehearsal footage, edited into its own video, and trailers for both Good Riddance! LIVE, and Coventry University Musical Theatre Society's upcoming show, How To Succeed In Business Without Really Trying. Of course, I couldn't not show you the trailer. I am super-proud of this too.